Iconic and historic, fashionable and exciting; London is a city with something to offer for everyone. With so much to see, do, explore and experience, you can’t just do London in a day. Fortunately, the city has a fantastic range of hotels and accommodations to choose from. In fact, the city’s home to some of the world’s most famous hotels, with 5 star hotels in London including such names as The Ritz, The Savoy and Claridge’s. After taking your pick from our London hotel deals, you might be looking for tips on things do during your London hotel stay, here’s our guide to what to seek out in the city. If you’ve never been before, the city’s most popular cultural hotspot, The British Museum, is a must-visit, being an entire world tour under one roof. Its extensive collection showcases artefacts from all around the globe, covering thousands of years of history. If it’s something a bit more cutting-edge that you’re after try the Tate Modern on the South Bank. One of the world’s premier modern art museums, it has thousands of works on display, from famous masterpieces, to exciting new discoveries. South Kensington’s “Albertopolis” has several of the city’s most renowned museums, all in one place, including the Natural History Museum and V&A Museum. While, just by Trafalgar Square, you’ll find The National Gallery and National Portrait Gallery right next door to each other. London is a city with serious star power, as you’ll find big names and hot talent treading the boards. It’s well known as the home of the world’s longest running play – The Mousetrap, which has been playing continuously since 1952 – while Les Miserables, has been playing since 1985. Other hit shows include The Phantom of the Opera, Mamma Mia! The Book of Mormon and Wicked - check out our latest theatre deals. There are more than 30 major West End theatres to choose from, as well as innovative venues like the Barbican Centre, Young Vic and the National Theatre. The city’s fringe festival scene is also huge with shows taking place in pop-up venues and pub theatres. How about a gig? Whatever your taste in music, there’s a concert for you happening somewhere in town. Some of the most famous venues include The O2 Arena, Brixton Academy, Royal Albert Hall, Roundhouse, Hammersmith Apollo, and the Southbank Centre. Clubbers are also well-catered for, with London nightspots including Fabric and Ministry of Sound. You can try flavours from all around the world here, so depending on budget dine in Michelin-starred restaurants or just have fish and chips in the pub. Some of London’s hotels host their own award-winning restaurants, including Dinner by Heston Blumenthal at the Mandarin Oriental, voted one of the 50 best restaurants in the world. For something more casual, street food is huge in London - the famous Borough Market is a must-do. In every part of the city you’ll find plenty of cosy cafes and cool coffee shops, but for the real experience - try a proper English pub. You’ll come across plenty of familiar sights from big screen blockbusters, such as King’s Cross Station – a must-visit for all fans of Harry Potter. Charing Cross and nearby Trafalgar Square have featured in films like from Captain America, Edge of Tomorrow, V for Vendetta to Paddington. Greenwich’s Old Royal Naval College is a location with real range, starring in both blockbusters like Thor and Pirates of the Caribbean and award-winners like The King’s Speech. The good news? With our deals on cheap hotels in London, you might find yourself with a bit of extra money. The bad news? London’s world-famous shopping means there’s plenty of places to spend it. Whether you head to the luxury boutiques of Knightsbridge, or the independent cutting-edge designers of East London, you’ll be sure to find your style. By the Queen Elizabeth Park, home of the 2012 Olympics, Westfield Stratford City is one of Europe’s largest shopping centres. Shepherd’s Bush-based Westfield London also hosts some serious designer names, and with the area continuing to host many of the city’s biggest sports and music events. 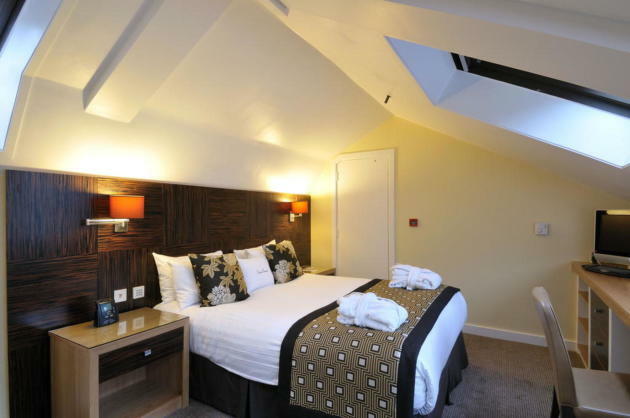 You’ll also find a great selection of hotels in Stratford London to choose from. 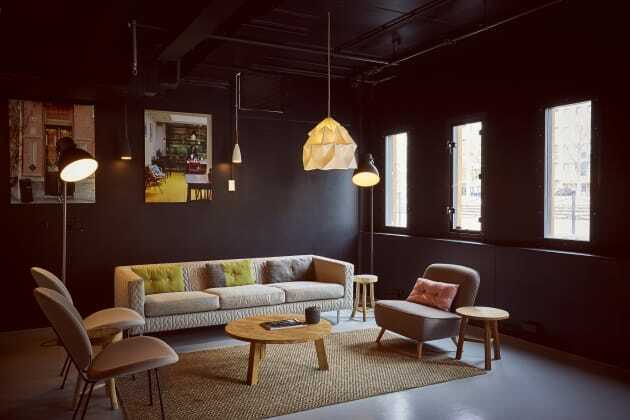 You’ll find up-and-coming design in East London districts like Shoreditch, including Boxpark, while nearby Brick Lane is great for vintage fashions and vinyl at Rough Trade East. More classic style can be found in the famous tailors of Saville Row and the designer shops of nearby Bond Street and Mayfair, as well as in world famous department stores like Harrods, Harvey Nichols, Fortnum and Mason and Liberty. Carnaby in Soho has remained a stylish destination since the swinging 60s, as has Chelsea’s King’s Road. You can enjoy exciting street entertainment while you shop in Covent Garden’s historic market, or pick up a bargain from the London Designer Outlet in Wembley. Get rooms for up to 40% less than booking the same named hotel on our website. Self-serviced apartments are a great way to enjoy some extra space and privacy during your stay. On a budget? We've got you covered. The capital is huge, which means there’s a fantastic range of both luxury and cheap hotels in London to choose from. This gives you the flexibility to stay in a neighbourhood that suits what you want to get out of your stay, so from hotels in central London to places to stay in lesser known areas. Bloomsbury and Euston A leafy, literary area of central London, known for its fantastic museums. Chelsea and Knightsbridge A seriously stylish West London destination, with designer boutiques and world-famous department stores like Harrods and Harvey Nichols. Covent Garden and Soho The heart of theatreland has excellent shopping, street performers, proper British boozers and an historic LGBTQ scene. Hammersmith and Chiswick A corner of West London known for its great music scene, with several peaceful parks to chill out in during the day. This neighbourhood is really easy to get to from Heathrow. Kensington and Earls Court A must-see for culture lovers, this grand Victorian neighbourhood is home to some of the city’s most popular museums including the V&A, Science Museum and Natural History Museum. Kings Cross St Pancras and Islington Not just home to two major rail stations and the Eurostar terminal, but also now a thriving cultural quarter. Nearby Islington has some of the city’s favourite bars, gig venues and theatres. Marylebone and Mayfair Classically elegant, Marylebone and Mayfair are two of London’s most exclusive neighbourhoods, with plenty of sights, parks and nightspots to discover. Notting Hill and Bayswater Colourful, exciting and multi-cultural. Explore famous markets and enjoy amazing dining. (And recreate your favourite scenes from the hit movie of the same name). Regent’s Park and St John’s Wood Spend relaxing days wandering around refined streets, famous parks or maybe visit Lord’s, home of cricket. In the evening, check out Camden’s amazing nightlife. Shoreditch One of the coolest places in town. 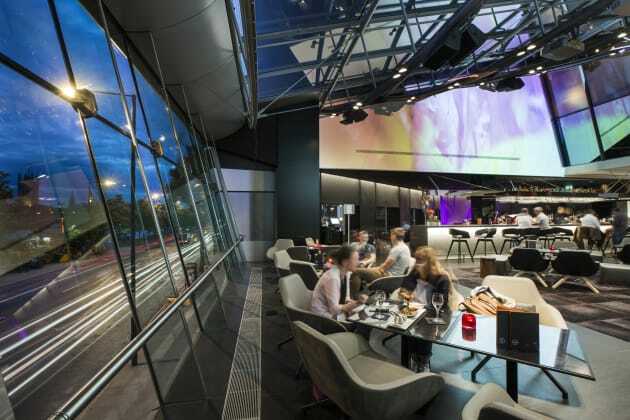 London’s centre for tech, street food, graffiti art and cutting-edge clubbing. South Bank and Southwark Perfect for a riverside walk taking in all the sights. This is the arts & culture hub with The Globe, National Theatre, Tate Modern and Southbank Centre all close together. Tower Bridge and St Paul’s Where the modern offices of The City meet some of the most historic parts of central London. Perhaps London’s most iconic area, with sights including the Houses of Parliament and Buckingham Palace, as well as famous galleries, theatres, museums and parks. For a truly unique London hotel stay, you can’t beat the Good Hotel London. Found in the Docklands area, this floating hotel is unlike any other. “Good” by name, good by nature, as the hotel is also committed to helping local community. Nearby transport links also make it a great choice if you’re catching a show at The O2 Arena. A stylish 5-star hotel by one of the city’s most iconic sights. 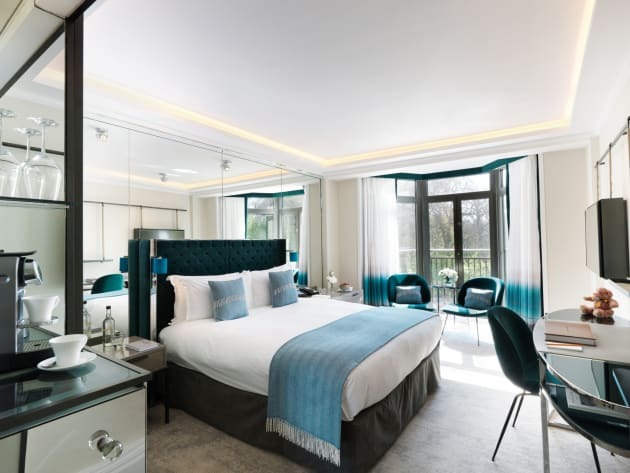 Grange Hotels are known for their exceptional features, and the Grange Hotel Tower Bridge particularly excels in its fitness facilities, with a luxurious spa and spacious pool. Opened in 1927 by King George V, The May Fair is the quintessential choice for classic London glamour. But that’s not to say that it’s old-fashioned. Beloved by celebrities, this elegant hotel has real star quality, including a seriously chic spa, and a large private cinema. It’s also the official home of London Fashion Week. Feel an unparalleled connection to London! Close to London Bridge and the Borough Market, the Shangri-La Hotel is perhaps the most striking place to stay in Greater London. Stay in one of the world’s most iconic buildings, the hotel is filled with cutting-edge design, from its lobby to its roof – where you’ll find one of the city’s coolest nightspots; the infinity-edge Sky Pool offers an exclusive oasis. Independent, award-winning and one of a kind, The Athenaeum Hotel retains its crown as London’s foremost family-run five-star hotel. 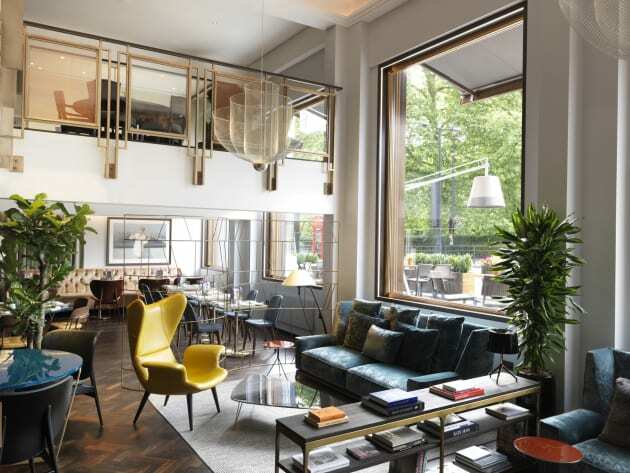 An original Art Deco building located in the heart of Mayfair opposite Green Park, The Athenaeum is the ideal base for your city stay, is an independent hotel in an area filled with history. It has a restaurant run by the Michelin-starred chefs, the Galvin Brothers, a chic spa and a unique vertical garden. Found in elegant Knightsbridge, close to the world-famous Harrods department store, Bulgari Hotel London is truly one of the most stylish boutique hotels in London. The carefully chosen décor offers all the stylish touches you’d expect from the Bulgari brand. Other seriously luxurious features include a private cinema and a spa with an impressive swimming pool. 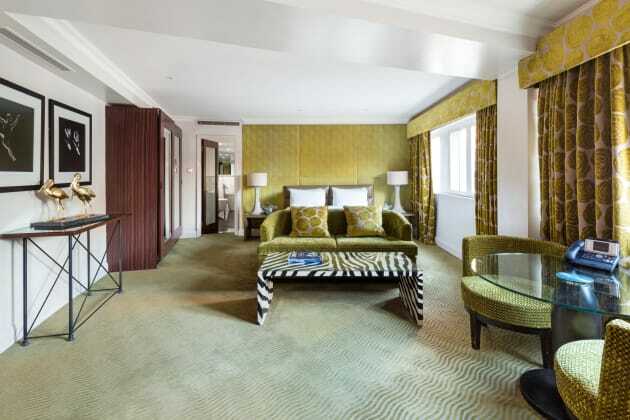 A classic 5-star hotel, the Corinthia London sits in the heart of historic Westminster. It’s an instantly recognisable landmark, thanks to its eye-catching glass Dome. The hotel is home to two exceptional restaurants – specialising in classic British and Italian cuisines – and the elegant ESPA spa. A little bit of classic Bloomsbury– the Doubletree by Hilton London – West End dates back to 1911, when it was originally the Bonnington Hotel. Renovated and given a modern makeover, the hotel now offers some impressive mod cons, including a gym. It’s also ideally located for the city’s main museums, and within easy walking distance of Euston Station. One of the most stylish spots on the Southbank, the Park Plaza London Riverbank sits directly across the river from the Tate Britain gallery, and offers views of one of London’s most iconic sights – the Houses of Parliament. It’s got an award-winning Asian and Latin restaurant and bar, and in 2018 is set to unveil a new spa, pool and gym. 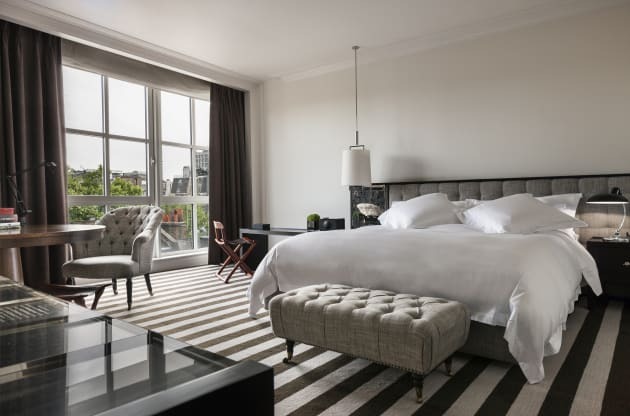 Found on High Holborn, between the City and the West End, the grand Rosewood Hotel dates back to the Edwardian era, and is filled with classic style. You can enjoy live jazz every night in its bar, and an award-winning afternoon tea. A classic choice, and a convenient one, the Strand Palace Hotel is just a few doors down from several of London’s major theatres. Built in the 1920s, the hotel has kept a number of original art deco features, but it also has plenty of modern comforts like a lounge bar, which regularly hosts live music and entertainment.